Call us at 770-962-8737 today. Thank you for visiting the website of Injury 2 Health located at 316 West Pike Street #150 in Lawrenceville, GA. We understand how important it is to choose a chiropractor that is right for you. It is our belief that educating our patients is a very important part of the success we see in our office. Chiropractic is a type of health care that works with the nervous system as well as the musculoskeletal system. Doctors of chiropractic are trained to diagnose and treat injuries and disorders that involve the nervous system, muscles and bones. Chiropractors in Lawrenceville work directly with the spine to remove any interference that may be preventing the body to heal itself and to restore natural processes within the body. Like all other areas in health care, new patients will undergo a consultation that involves reviewing past and current health conditions, medications and surgeries as well as a physical examination. Once this process is completed our team will use all of the information to establish a diagnosis and create an individualized treatment plan. Chiropractic is not limited to people suffering from back pain in Lawrenceville. There are a myriad of different conditions that chiropractic care has been shown to be helpful for. At Injury 2 Health, we have a large number of patients that see us as a part of their wellness lifestyle. Receiving regular chiropractic adjustments can help the body function at its optimal potential. If you want to find out if chiropractic care is right for you, please give us a call today. Our team at Injury 2 Health in Lawrenceville is here for you. Farrah Hamedani uses chiropractic care to improve the health and wellness in all areas of patient's lives, whether they are having problems with back pain or neck pain, or just want to start feeling better when they wake up in the morning. Dr. Hamedani takes a 'whole person' approach in chiropractic care, which means looking for the underlying causes of disease, discomfort, and pain, as opposed to just treating the symptoms. Many seemingly unrelated symptoms often arise from imbalances in the spinal column, and Dr. Hamedani will be able to determine the root of the pain and create a personalized chiropractic and wellness plan to suit each patient's individual needs. Under the supervision and care of our caring and skilled chiropractor, patients report higher functioning in all areas of their lives. "I really enjoyed my experience here. The staff is very friendly and they do an excellent job. I continue to go for monthly maintenance appointments and would definitely recommend that you check them out." "I started going to Dr. Farrah after a car accident and her service, skill set and most importantly concern was what stood out to me. I moved from the area and figured I'd just find another chiropractor. I was successful at finding another chiropractor but none compared to the treatment I received from Dr. Farrah. So now I drive from Conyers and don't mind one bit." 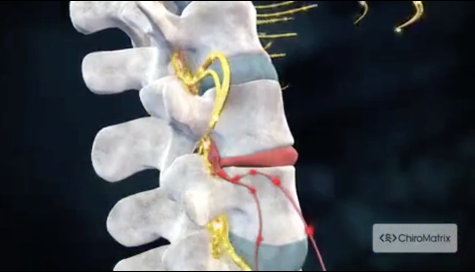 "Experienced back pain for many years and Dr. Farrah treatments have made a major improvement. Highly recommend!!!" "Abosolutely love Dr. Farrah! My whole family does. She really is the best." "Love them there. They do amazing work here. Worth every visit...."
"Best chiropratic care ever!!! I've been seeing Dr Farrah practically my whole life! Even During my pregnancy, she made my pain from sciatica practically disappear. You can definitely feel the care & effort she puts into making sure her patients feel the best they can and that is why I Absolutely LOVE HER"
"Got so used to pains in my back, neck etc that I didn't realize I was in so much pain, till I got it fixed. She is the best! My body feels good every time I walk out of there. Nice to have a good doctor you can trust." "Was cynical at first but now after treatment for sciatica & hip pains which have subsequently been treated perfectly by Dr. Farrah I am addicted and go to her for any aches & pains... She puts me right !!!!"